The soft/medium gamma-ray regime is the least astrophysically explored range across the electromagnetic spectrum; the sensitivity of current missions is orders of magnitudes worse than neighboring bands due to high instrumental and atmospheric backgrounds, low interaction cross-sections, and inherent difficulty of imaging at these energies. It remains an extremely interesting range harboring the positron annihilation line, signatures of stellar nucleosynthesis, and emission from the most extreme environments. 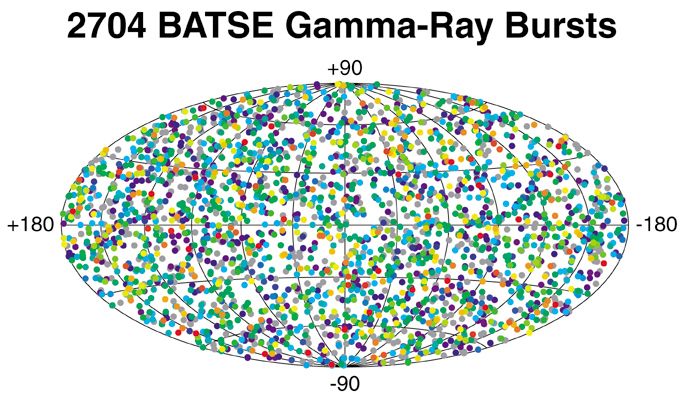 This plot shows the leading telescopes in the x-ray to gamma-ray band and their relative sensitivities. 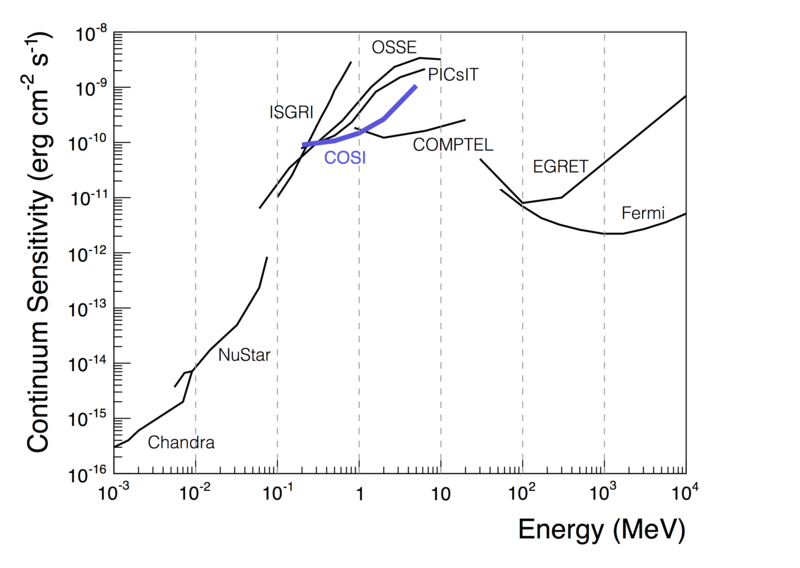 The predicted COSI sensitivity is superimposed on top. Lower values mean fainter objects can detected. The so-called “MeV gap” is the range between 100 keV to 100 MeV where the instruments have poor sensitivity. COMPTEL opened up the MeV gamma-ray band in the 1990’s, followed by INTEGRAL in 2002. Together they have made huge progress toward cataloging and understanding the gamma-ray sky, however there are still many open questions. The 511 keV image of the galaxy produced by INTEGRAL/SPI showing the spatial distribution of positron annihilations. The bright bulge in the center is a unique feature unseen in other wavelengths. The 511 keV γ-ray line, signature of positron annihilation, was first discovered coming from the Galactic Center region in the 1970’s [Johnson et al. 1973], but the source of these positrons is still a mystery. Possible sources include β-decay from stellar nucleosynthesis, XRBs and microquasars, pulsars and magnetars, pion decay in cosmic rays, the supermassive black hole, and dark matter annihilation, decay or de-excitaion. Spectral studies give information about the level of ionization and temperature of the annihlation medium: now thought to be neutral and ionized warm phases of the ISM from INTEGRAL/SPI measurements [Jean et al. 2006]. Spatial maps of the 511 line show the distribution of positron annihlations in the galaxy (not necessarily their orgin due to uncertainties in propagation [Jean et al. 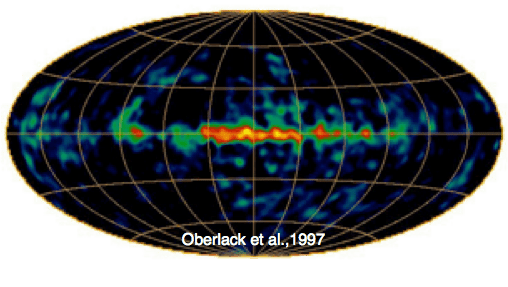 2009]), and SPI’s intriguing image showing the majority of positron annihilating within 20° of the Galactic Center and along the plane, a spatial distribution unseen in other wavelengths (see the feature image [Bouchet et al. 2010]). The source of the bulge emission is unknown, however the plane emission is believed to come from the β-decay of stellar nucleosynthesis products, namely Al-26. COSI will produce the first direct image of the 511 keV line from the galactic bulge and disk, as well as measure line profiles in these regions. By comparing the 511 keV map to the Al-26 map, COSI can determine if the positron emission in the disk traces the locations of these nuclei. 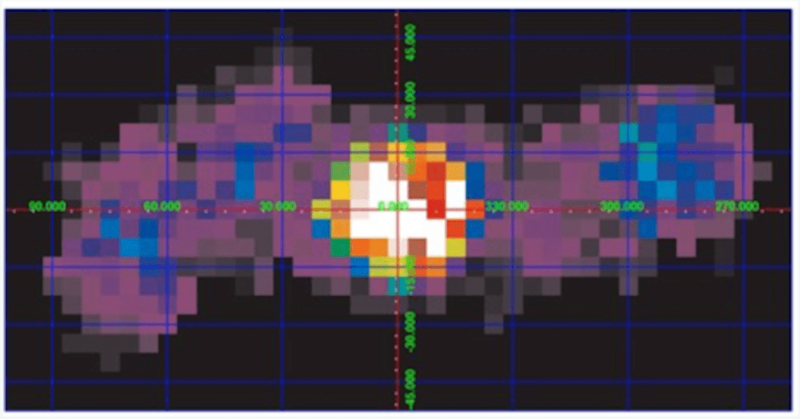 Map of GRBs as measured by BATSE onboard COMPTEL. The isotropic distribution of GRB locations shows that they are extra-galactic explosions. Polarization measurements provide a unique diagnostic tool to probe emission mechanisms and source geometries. For extreme environments, such as gamma-ray bursts (GRBs), black hole systems, and active galactic nuclei (AGN), little is known about the specific physical processes of the emission, however different theoretical models often predict different levels of polarization [Lei et al. 1997]. At the time of writing, less than ten GRB polarization measurements have been reported, with varying results. There is evidence for some GRBs to be highly polarized, but the polarization levels have not been well constrained and more detections are needed before conclusions can be drawn. INTEGRAL’s measurements of the polarization of the Crab nebula [Dean et al. 2008] and Cygnus X-1 [Laurent et al. 2011] reveal the potential of this new window into the physical processes involved. COSI, with it’s high sensitivity to polarization, will study the polarization of GRBs and bright γ-ray compact objects, e.g. Crab, Cyg X-1, and Cen A, leading to further understanding about the emissions mechanisms in these systems. Update: COSI team member Alex Lowell has just published results of the polarization analysis of a long-bright GRB160530A that COSI detected during the 2016 flight [Lowell et al. 2017]. In an accompanying paper, Alex describes the implementation of a Maximum Likelihood technique for polarization analysis, significantly improving the minimum detectable polarization [Lowell et al. 2017]. COMPTEL image of the 26Al 1.8 MeV line in the galaxy. The hot spots are thought to trace massive stars in the spiral arms of the Milky Way. Observing nuclear-lines and comparing the measured flux of different isotopes reveals information about the evolution of massive stars and their SN explosions: measurements accessible only in the soft γ-ray range. COMPTEL produced a map of the 1.8 MeV line emitted by 26Al [Knodlseder et al. 1999] (half-life ∼7.2×105 yr) which traces star forming regions in our galaxy through it’s production in massive stars. 60Fe (half-life ∼1.5×106 yr), not yet imaged in our galaxy, is released in significant quantities during ccSNe. 44Ti, with a half-life of ~60 yr, reveals young SNe remnants and is detectable with COSI through the 1.157 MeV photon produced in the β-decay of 44Sc. Together, these measurements can further our understanding of SN nucleosynthesis [Diehl 2013]. COSI will map 26Al and 60Fe emissions, enabling detailed studies of the 60Fe/26Al ratio, and search for 44Ti emission from young SNe.